Family-owned and -operated, Surrender Salmon launched in January 2017 to provide Alaska’s finest and freshest sustainably wild-caught Sockeye salmon to the Twin Cities. As a landlocked state without access to an ocean, it’s difficult for us Midwesterners to have a direct relationship with the fishermen who catch our seafood. As co-op member-owners, we value direct relationships with local farmers, producers, and makers — it’s important for us to have a sense of where our food comes from so we know how it was produced, grown, or raised. Knowing the people behind the products is a wonderful added benefit of eating local. Luckily, Surrender Salmon Founder Grant Niver calls himself a Minneapolis resident. After moving from Alaska to the Midwest to pursue a college degree, Grant now calls Minnesota home. 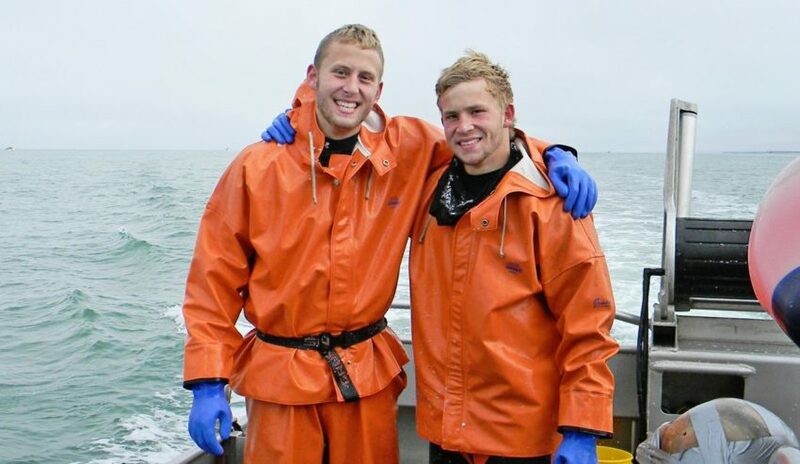 During summer, he returns to Bristol Bay, Alaska, to catch fish with the rest of the Surrender Salmon crew, including brothers Blake, Bryce, and their father, Mark. Colloquially known as “Dad Niver,” their father serves as captain of the fishing vessel Surrender, Surrender Salmon’s namesake, which has been in the family for nearly 40 years. Together, the Nivers sustainably catch thousands of pounds of wild salmon each summer, which are then pre-portioned into individual serving sizes and full fillets, deboned, vacuum-packed, and flash frozen, guaranteeing freshness for up to two years. One of the most important aspects of the business is the area where they fish. Bristol Bay is home to one of the largest remaining commercial wild salmon fisheries in the world, six major rivers, and an average of over 38 million salmon during peak fishing season. Each summer, wild salmon migrate from the Pacific Ocean through rivers and lakes to spawn and lay their eggs, making this the perfect time of year for Surrender Salmon to harvest fresh fish. Wild-caught salmon hold special cultural significance to Alaskans, many of whom have based their lives and livelihoods on the naturally-regenerative lifecycle of the state’s abundant salmon population. This reverence for land, sea, and wildlife is carried over into the Bristol Bay commercial fishing industry’s strong commitment to sustainability practices, which ensure long-term aquatic ecosystem health, salmon health, and population stability. These practices also warrant against overfishing while protecting and conserving upstream spawning beds. When enjoying Surrender Salmon, you’ll receive the assurance of knowing exactly where your fish comes from, how it was caught, and its environmental impact, while directly supporting local family fishermen.